Sleep training can be quite a controversial topic: everyone has their own opinion on what is the right and wrong thing to do. Everyone has methods they claim work and, like everything with motherhood, everyone has an opinion on what you are doing. Since before Christmas Peyton's sleep has been atrocious. She's only ever "slept through" a handful of times (and by slept through I mean 8pm-6am, or there or thereabouts). Some will say that sleeping through is anything over something like six or seven hours, but I need more than that to function so I don't count it unless it's a solid 10+ hours. Anyway, I digress, we've never been blessed with a string of nights with no wake-ups. This came to a head around Christmas, when her first tooth came through, and she started waking up every hour. Then it was every 2-3 hours. It was horrific. She didn't even wake up that much when she was new. I was absolutely exhausted. I didn't feel like myself, everything was a struggle and I definitely wasn't being the best mum I could be to P.
It gradually got better, but she was still waking so many times a night. We started bringing bedtime forward, as I wondered if she was maybe over tired. She only has two - sometimes three if she wakes up really early - naps a day, and these are one hour each, max. We were starting getting her ready for bed at 8, usually for her to be asleep by 8.30, but brought this forward by an hour. She was going to sleep by 7.30/7.45, no problem (I say no problem, I'll come back to this!) but was then waking up, without fail, 45 minutes later every single night. I'd get her back to sleep and then she'd wake up an hour later. Each time she was completely inconsolable - sobbing so much. More often than not the only way I could settle her/get her back to sleep was to feed her. We'd then maybe get a couple of hours before she was awake again, usually around 11/12. This was always the worst wake up because I'd not been asleep that long and it's awful when you've just got into a deep sleep to be woken up. I'd feed her again and put her back down and, if we were lucky, she'd sleep till 6/7. If not, she'd wake again around 4. 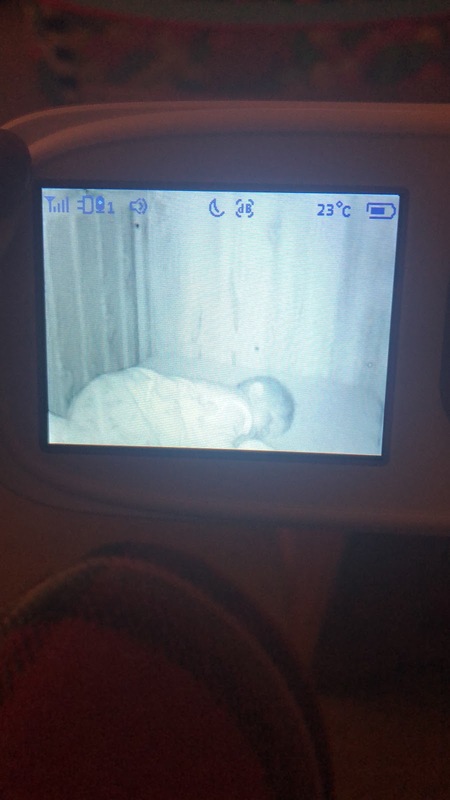 This is always a dodgy time because, if I don't get to her before she wakes herself up, she thinks it's time for the day and getting her back to sleep is the biggest challenge. I am tired just reliving it all. And that's when it got better! I started researching different sleep consultants but everyone had a really long waiting list; and I couldn't go on as we were any longer. Every night I was becoming more and more aware that I'm back at work soon; and there's no way I'd manage full days at work on the minimal sleep I've been getting. After speaking to my best friend, she suggested I try gentle controlled crying. I'd never really considered controlled crying before. It always brought connotations of just leaving a baby to cry it out until they go to sleep. In a sense, that is it, but you don't leave them totally. You go in and check at intervals, settle them back down/lie them down, and then leave again. I've tried a similar method before - I'd leave her three minutes, go back after four, then after five each time after that. But this never worked. I think, after doing some research, this is because the intervals were too short. I got to the stage where I would try anything. We've got into such terrible habits with sleep. During the day she will only be rocked to sleep or sleep while we're out in her pram/the car. There was a time when she'd only sleep on me, but I have been able to put her down in her cot/on the sofa once she's been rocked to sleep. It's all well and good rocking her to sleep, but she's 17lbs now and that's a lot to be rocking twice a day. Night times, she'd only ever be fed to sleep. That's always been fine, but I realised that she was stirring, soon after going down, and no longer had that comfort there anymore and was getting upset. The same when I had to rock her back to sleep after she woke up. She fell asleep being rocked but woke up and that was no longer happening, so got upset. I've had to put on my big girl pants to try this new method. I downloaded some research into The Ferber Method and got a handy guide on how many minutes to leave her each time. I set the timer on my phone, because I knew otherwise I'd go back in after 30 seconds, and we were off. We started on Friday. When it came to afternoon nap time I decided that was the perfect time. I put her in her sleeping bag and took her up to her cot. We had a cuddle and I put her down and, sure enough, she started whining. I went in at each interval stated and, eventually, after 40 minutes, she was asleep. It was bloody hard. Each time she cried she was sitting herself up and I swear at one point she fell asleep sitting up. The last time I went in I said to myself that it would be the last 10 minutes we did and if she wasn't asleep the next time I checked then we'd give up. Anyway, I went in and laid her back down, rubbed her belly a few times and said "ssh" and she was off. We did the same at bedtime and it took the same time. We had the same thing, sitting up and crying, falling asleep sitting up, but when I went in and laid her down she eventually fell asleep. Yesterday was day two. Her morning nap it took just 15 minutes for her to fall asleep. It didn't seem anywhere near as hard. Bedtime took 30 minutes but it was the first time she laid herself back down and went to sleep without me having to go in and do it. I've never had to leave her to cry longer than 10 minutes, she's always fallen asleep by herself either in that time or before. We're on day three now and she fell asleep about 20 minutes ago. It took just over 15 minutes and, again, she was sitting up crying. I went in after 10 minutes and laid her down but by the time I'd got back downstairs she was sat back up. Within two minutes, though, she'd laid down and was asleep (or so I thought!) After about two minutes she was back sitting up crying again, which didn't last long before she laid back down and fell asleep. Not only has she been going to sleep better, but the two nights since we started this she has been sleeping better, too. Gone are the wake-ups once she's gone down. The first night she didn't stir until gone 2am when she had a feed, then she stirred a little at 4am, then was up at 6.45am. Last night, she woke up for a very brief five minutes just gone 3.15am, other than that she slept from 7.30pm-6am with no disturbances. She'd stir, but she soon rolled over and went straight back to sleep. Previously she'd have started crying as soon as she stirred and needed me to go in and re-settle her. Controlled crying isn't for everyone. And a lot of people can be really negative about it. I've seen a lot about it this week. I'm not sure whether that's because me and Soph discussed it, and I started trying it. They do say you notice things more when you suddenly start doing them. A lot of what I've seen has been negative, but I've also seen it recommended. A lot of research has been done into controlled crying and, while it's not nice to listen to, it has proven that it doesn't cause any harm to babies and can help them sleep better. The two nights that we have done it, I can certainly vouch for the latter. I've also found that if I've busied myself with something the minutes haven't gone by too slowly. Yesterday, for example, I did the dusting and cleaned the bathrooms. But it isn't for everyone, and I get that. I just really wanted her to be able to be put down awake, and get herself to sleep. 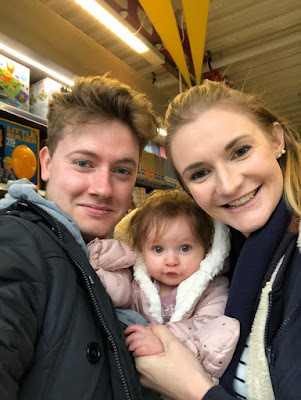 I'm conscious of when she's at nursery the staff won't be able to sit cuddling her for 45 minutes while she has her naps and she'll need to learn to sleep on her own in a cot. They might not mind rocking her to sleep, but I'm sure they wouldn't want to be doing it two to three times a day. If I can get her to settle better, and sleep better, it'll be better for everyone. I'm really hoping we've finally turned a corner now. Bedtime has been such a stressful experience since she started refusing a bottle. Since then, she's only wanted me and it's been really, really hard. But, after two nights of decent sleep, I already feel a million times better. I just hope it isn't one of those things where you finally click then something else goes wrong!